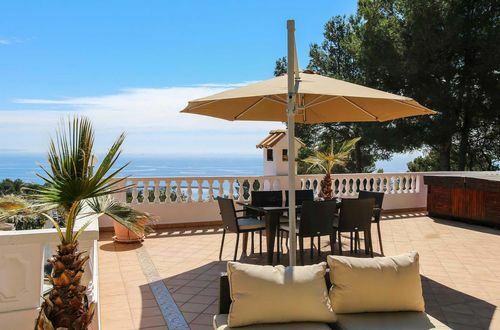 This delightful villa with wonderful sea views comes with a pleasurable outdoor area. 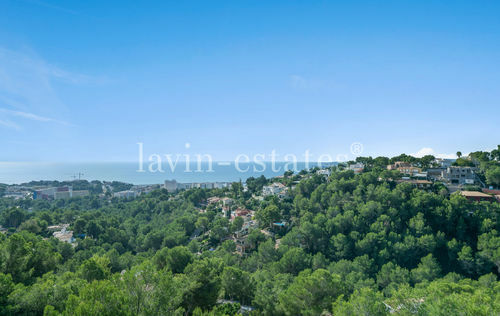 The plot size of the property is approximately 980m2 with a constructed area of approximately 340m2. 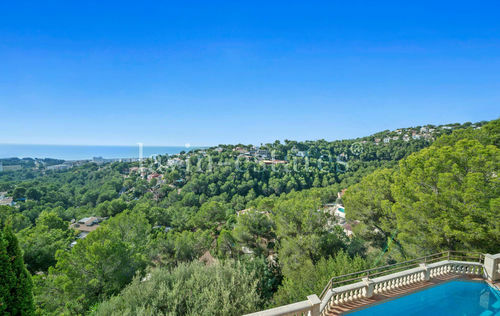 This fantastic villa has been distributed over two floors. On the entrance level you will find a master bedroom with an en-suite bathroom and a large sea view terrace, an entrance/sitting room, a bedroom with an en-suite bathroom and a terrace, a further bedroom with a terrace and a bathroom. The lower level offers a large and bright living room with a fireplace, a fully fitted kitchen with a serving hatch and a laundry/storage room and a bathroom. 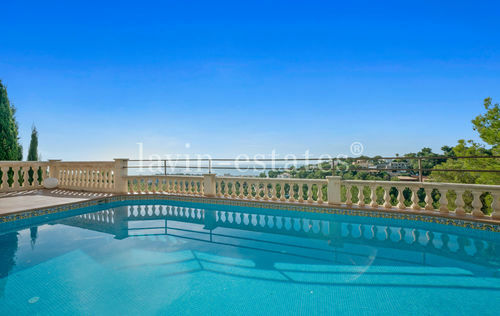 Both the kitchen and the lounge have access to the swimming pool and terrace. The outdoor area disposes of both uncovered and covered terraces, the uncovered terraces approximately 55m2 and covered terraces of approximately 30m2. Other characteristics of this stunning property include an outside shower, double glazing, double garage with an electric door, central heating, under floor heating, hot/cold air conditioning, a motion detector, video-intercom, an alarm system and a garden irrigation system. 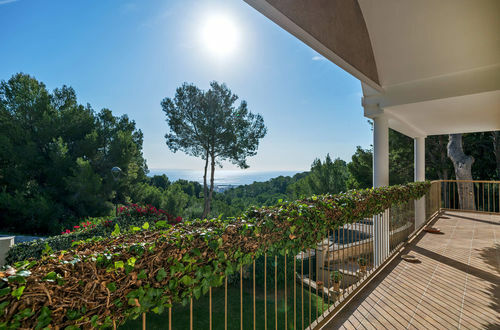 The luxurious residential area of Costa den Blanes offers security and stunning views. 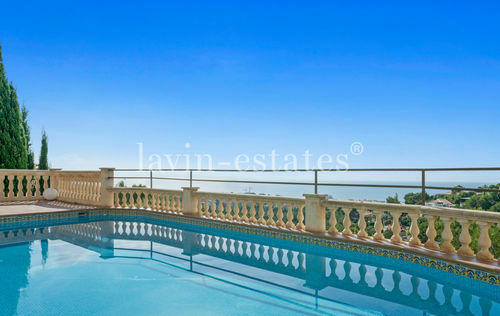 This area is very close to all amenities, international schools and the prestigious Port of Portals.